The Disney History Podcast did its job. I bought the book! Yep, I could not resist as I binged Todd James Pierce's audio segments. But would the book fill the Disney history itch I wanted scratched? 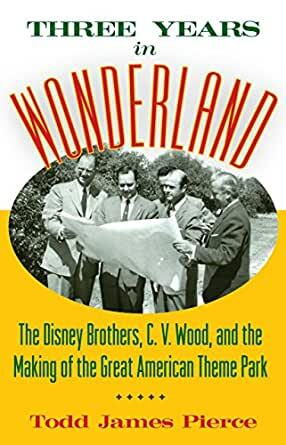 Three Years in Wonderland: The Disney Brothers, C.V. Wood, and the Making of the Great American Theme Park by Todd James Pierce details the creation of America's first cinematic theme park, Disneyland, from the perspectives of the park's first General Manager C.V. Wood and Walt Disney. We know from the beginning of the book that the Wood - Disney relationship is doomed to fail, though Disneyland would be a success. Pierce provides readers biography of the wild yet charismatic Wood and his unlikely journey to Stanford Research Institute (SRI) and his early work with the Disney brothers. Pierce adds information about Walt Disney's dream for a theme park and the efforts, especially financial, to get his theme park built. Pierce then narrates the construction of the park, including the attempts by Wood to bring his inner circle into the park management and perhaps enriching himself. Finally, as the park survives its opening, the author outlines how Wood's relationship with Walt Disney soured, or perhaps never was amicable. Overall, Pierce helps highlight in a way an official Disney book cannot and will not, Wood's contributions to the building of Disneyland. I think it is a good sign. I loved this book, but there is more I wanted from it. First, I wanted more about C.V. Wood and his private life. In the narrative, Wood is working in the aircraft industry and then we meet him again at SRI. I would love to know more about how Wood changed industries. Second, Pierce tells us that his habit of being a workaholic was an issue for his marriage. Yet, Pierce discusses mostly Wood at work or play really only with his inner Texas circle, the Bombers. I would love to hear more about his personal family life during his Disney years. But perhaps there is no documentation of this period. Three Years in Wonderland is entertaining and educational. On the entertainment front, Pierce uses poetic license and flourish at times to make this history feel dramatic and very far from dry. In the educational side, it really is Wood we learn quite a bit about. Pierce reinforces that Walt Disney was the most supportive of his creative staff. And Pierce places Wood within the financial circle of Roy Disney. It becomes clear that Wood was not a Walt Disney favorite, but instead someone that was necessary not beloved. And Wood did not cross easily into Walt Disney's circle like Admiral Joe Fowler who seemed to straddle the Walt-Roy division within Disney staff. In many ways it becomes clear that the charming Wood was destined to leave Disney employment when he was no longer needed to help sell and build Disneyland. Three Years in Wonderland is must read for Disneyland fans. 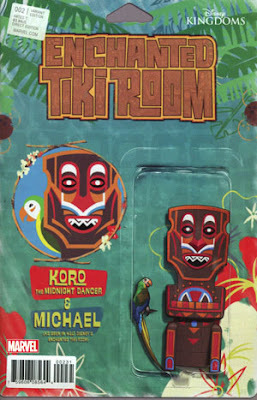 It is part soap opera, part history as experienced readers who have glances over Wood's names numerous times learn more about this enigmatic and invisible Disney, no not legend, myth. In the end, the book scratched my Disney history itch and drove me to want to know more about wood. 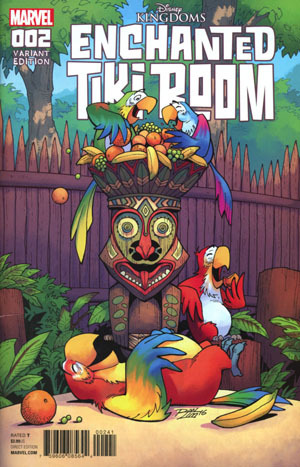 Hint, hint...I would love a sequel that discussed Wood's post Disney parks and developments! 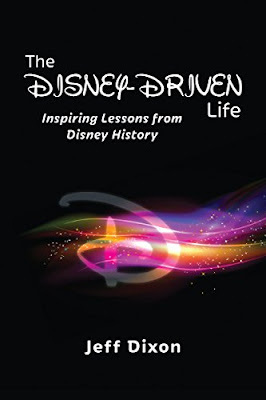 The Disney-Drive Life: Inspiring Lessons from Disney History by Jeff Dixon provides life lessons from Disney history as one walks through the Magic Kingdom. Dixon methodically works through the theme park telling about key attractions in each land but adding a story, typically about Walt Disney, which can inspire. His goal is to help his readers move beyond being a person loaded with potential to someone who lives up to that potential. Dixon's stories generally remind readers of the worth of others, not giving up, dreaming and taking action on those dreams. Overall, the text is fine and likely worth the $4 price to read the Kindle edition for many. I just found myself lost at times. Often Dixon looks to link the attraction to Walt Disney's life. But, Disney never visited a completed Walt Disney World so the stories are often linked to Disney's actions on the West Coast at Disneyland. Also several of the chapters have numerous lessons that one can take from the discussed experience. Perhaps, shorter chapters would allow for the book have more of these lessons more overly called out. 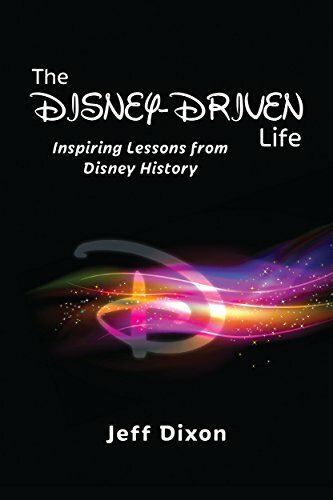 The Disney-Drive Life: Inspiring Lessons from Disney History is a book written to inspire the Disney fan. Luckily, between the stories of Walt Disney and his park many a lesson can be mined and Disney fans have these collected stories and more to create inspiration. When I first saw Star Wars, Luke was my favorite. But by The Return of the Jedi, Han was my favorite of the big three. I mean, he did get the girl! Maybe that says more about me growing up then the saga. So hearing that Marvel was going to produce a Han Solo focused mini series really excited me. But it scared me too, because what if it was not great! 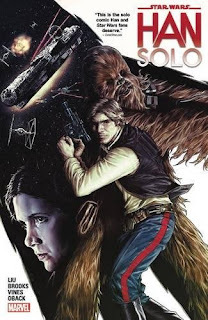 Star Wars: Han Solo by Marjorie Liu with art by Mark Brooks follows Han Solo as he and Chewbacca are called into covert action by the Rebel Alliance. Princess Leia needs a fast ship, and the Millennium Falcon is entered into the Dragon Void race. 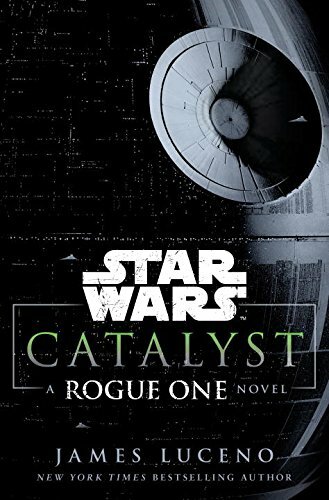 At each stop, Solo must recover a member of a Rebel spy network including a traitor who has exposed their activities. The scoundrel rebel has to balance the competitive nature of his fellow racers with the stress of Imperial entanglements and antsy Rebel spies. If forced, which will Han choose...the mission or the race? Overall, I was happy with Liu's story. It is a straight out adventure tale with a hero I like at its center. While the story is not overly complex, it does leave the reader wondering who the traitor is? And we get to witness Solo's tension. Leia made it clear, the race is nothing but a cover story. In the end if he must choose it is the race he is to abandon. But can he do that and still be true to his nature? To me the story really does not take us deeper into Solo's personality, really with the reader getting the smuggler we expect. The story does give us foreshadowing to his post rebellion career, as a race promoter. And it helps connect dots to the older Solo and his love of racing. Star Wars: Han Solo is an adventure romp. It does not add deeply to the canon. But it likely gives Solo fans like me something we want, more screen time! If you are a Disney fan, it is a must. If you are a theme parks fan, it is a must. If you are a history fan, it is a must. If you are a story fan, it is a must. If you like to hear about creatives, it is a must. I am talking about the podcast I have always wanted and did not know existed for over three years. My newest podcast recommendation to everyone is the Disney History Institute Podcast. And when I say everyone, I mean everyone. I have gotten friends who do not like Disney to binge episodes because the stories and production are just that good! 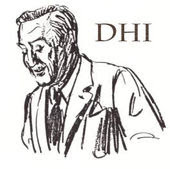 Disney History Institute Podcast by Todd J. Peirce is predominantly audio versions of Peirce’s articles from the Disney History Institute website. Along with Peirce’s well written articles is quality production with supporting audio beds and Peirce’s voice that helps pull you into a story. 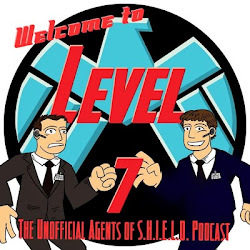 I have experimented a bit with scripted podcast episodes, and it is not as easy as it seems. But this podcast combines quality content with strong production values. It is convincing enough that I had to buy his book! The content is basically audio presentations of Peirce's articles. I will be honest, though they have been available in text form, I have not read them. These articles are somewhat big at times and I do not have the time to sit online and read these articles in depth (yeah it is kind of ironic with this being a blog and all). So this audio presentation has given these articles a second life. But the best part is you really do feel like you are getting pulled into a story with Peirce serving as the storyteller. The topics fascinate me with me telling everyone to go listen to “The Bible Storyland Fiasco” immediately. 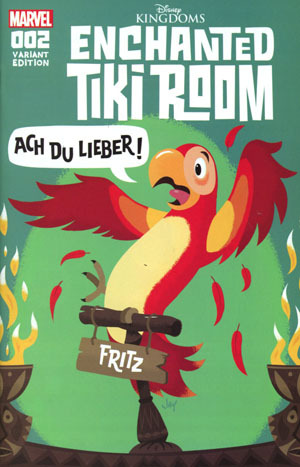 I love this history which balances defects in personalities with the humorous thoughts of a Jungle Cruise Garden of Eden ride completely with sexism. The Disney fan will be drawn to the multipart expose on the Yippie Invasion, the infamous Studio field day, and glimpses into Walt Disney’s life. I will admit, after hearing his piece on Ruth Shellhorn I find myself kicking myself for not knowing more of her Disney story. Additionally, along with his articles, Pierce shares interview audio of Disney legends like Harriet Burns, Blaine Gibson, and Jack Lindquist. The only real complaint is frequency. The episodes post when Peirce has one ready. So it is possible for long gaps. But it is good free content. A friend did point out to me that “Walt’s First Park Part 1” was never followed by a Part 2. But I found myself arguing, but buddy it’s free. My friend did go online to read the second part of the story. Disney History Institute Podcast by Todd J. Peirce is my new favorite podcast I did not know existed. If you are a Disney fan, you need to subscribe now so when a new episode drops it is pushed to you. Because you will both learn and be entertained by this audio presentation. I was a big fan of The Ride Delegate. So seeing a second Annie Salisbury memoir got me super interested. Her first book took us to places that the regular people like me cannot consider. 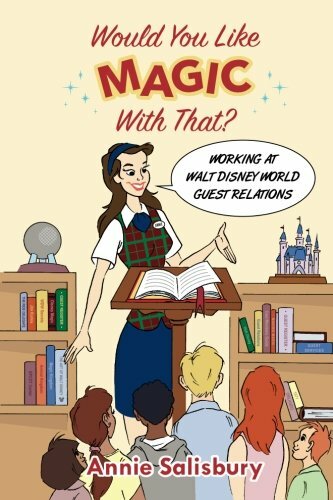 And I hoped this second book focusing on her time as a Plaid in Guest Relations would provide more fun and unique stories. Would You Like Magic with That? : Working at Walt Disney World Guest Relations by Annie Salisbury starts in a sad place. Salisbury begins this memoir with her first Disney casting, working DisneyQuest, a site she never wanted and attempted to escape. Surviving the College Program, Salisbury continued on and was able to briefly move over to the Great Movie Ride. From this position she was able to use the Disney casting system to get moved to Guest Relations at the Magic Kingdom. But instead of being posted as a Plaid, she instead was tasked as a Celebrate Greeter, spreading magic in the park for guests without actually being trained into Guest Relations or wearing the famous uniform. 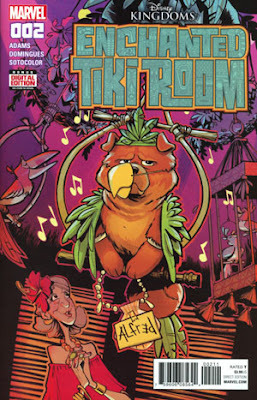 After bartering her way into actual training, Salisbury recounts stories that let her readers understand the roles and politics of Guest Relations, including the threat for many that this casting is temporary and something they could lose forever. Salisbury helps illustrate several points. First, College Program members you get what you get. And Disney may lie to give you hope of other castings. But really, if one is dissatisfied with what Disney has chosen for them the only real escape option is to leave. Salisbury also does a nice job of explaining how non College Program cast members can switch positions at Walt Disney World and the extreme efforts and risks one may have to take to move into a desired role. And most of all, she provides clarify like all offices, Guest Relations has politics and maybe even people meaner than those you work with on a daily basis. I have quoted Would You Like Magic with That? a few times. I am currently training staff who help resolve situations. And I have used the concept of "appropriate" and "obtainable", which Salisbury learned at Guest Relations as a good ruler for for strong problem resolutions. If something does not meet both of these conditions, in all of our customer relations we should review if it is the solution we select. I liked Would You Like Magic with That? but still find The Ride Delegate to be my favorite of Salisbury's memoirs. But this time she did not have the chance to surprise me with the strength of her stories. But I can now proudly ride the Great Movie Ride knowing that Gangsters are jerks. And I now know just how bad a situation it takes to get Disney to consider free admission, there will probably be tears. Because sometimes has to ask Would You Like Magic with That? when circumstances make the day less magical for both cast and guests...even at Walt Disney World!